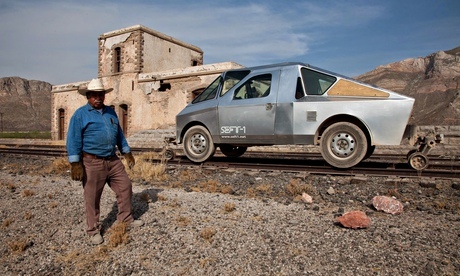 Today, there are thousands of miles of abandoned railways sprawled across Mexico. These modern ruins have been left in the burning deserts to disintegrate and die, to be forgotten from the Mexican consciousness. 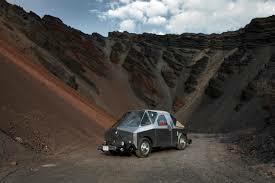 However, two Mexican artists, Ivan Puig and Padilla Domene, ventured out on a 2 year long mission to explore the tracks and bring the country’s beautiful landscape and heritage to the forefront of society. 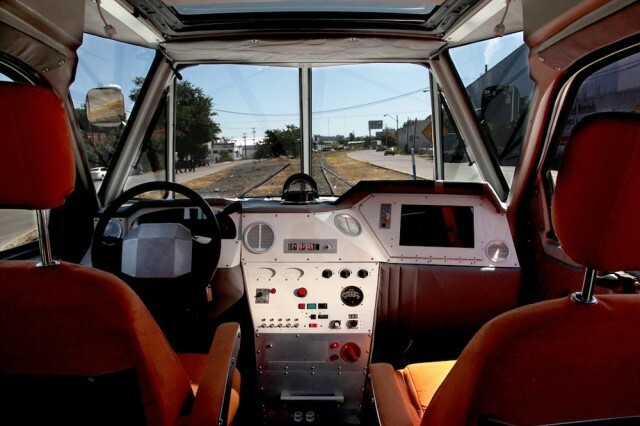 To make the adventurous trip, Puig and Domene created the SEFT-1 vehicle, which is capable of riding along the tracks due its custom retractable wheels. This truck has also been built-up with a custom interior and a futuristic, sturdy aluminum body, capable of withstanding the elements (this, however, is mostly for show). Along their trip, the artists took countless pictures and released a video of their travels (see below). All of this, of course, was on full display at the opening of their gallery in London last week. For the artists, this gallery was a rewarding payoff for two years of research and work. 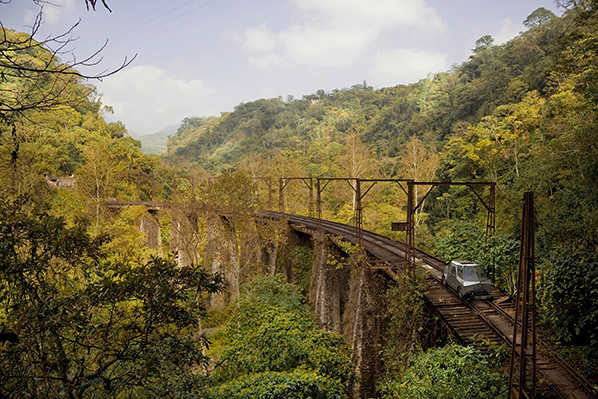 This entry was posted in Culture and tagged ivan puig, mexico, Padilla Domene, railroads, SEFT-1. Bookmark the permalink.